PARIS, FRANCE, NOVEMBER 14, 2012 — RTW, a leading vendor of visual audio meters for professional broadcast, production, post production and quality control, is proud to announce the debut today of its new TMR7 TouchMonitor at the Audiopole stand (B65), during SATIS (The Show for Audiovisual Technologies and Solutions) 2012. Specifically designed for radio broadcasting, the four-channel desktop unit features two AES3 digital (XLR) inputs that integrate all metering options required in radio broadcasting for a solution made to measure. The TMR7 is also making its Asian debut today, at InterBEE 2012 in Tokyo, Japan. 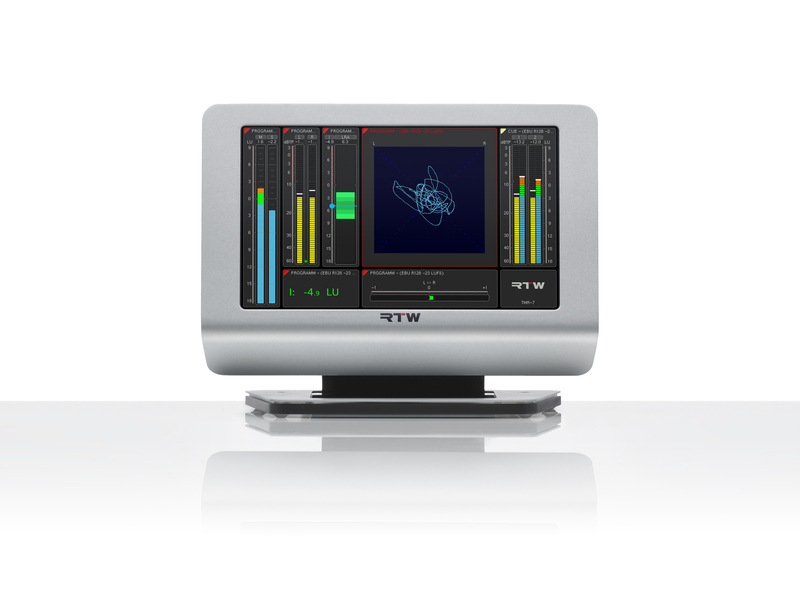 The technological basis of the TMR7 is the TM7 TouchMonitor with its flexible modular configuration. Similar to the TM7, the TMR7 also includes a seven-inch touchscreen and is available as a desktop unit, fitted, or as an OEM unit with 16 audio inputs. With its versatility, the TM7 supports all professional audio metering applications. Separate true peak and PPM instruments, as well as a vectorscope and correlator for evaluating stereo signals, are available on each TMR7 input channel. Licensing options include an extensive loudness-meter implementation (EBU R128, ITU BS.1770-3/1771, ATSC A/85, ARIB) with graphical and numerical single-channel and summing views, as well as loudness range (LRA), MagicLRA and SPL metering. Licenses are also available for an optional realtime analyzer (RTA) and the Premium PPM package with moving-coil instruments. The four audio inputs provided by the two AES3 ports are flexibly configurable for mono, stereo or multichannel sources, providing separate instruments for each source. Plus, the GPIO interface for overall control, the Ethernet port, and the VGA output for external display units offer further functionality. 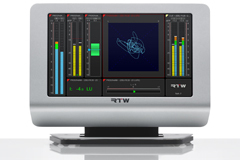 RTW CEO Andreas Tweitmann will be available at the Audiopole stand, B65, to demo the TMR7 and to discuss all of RTW’s products.